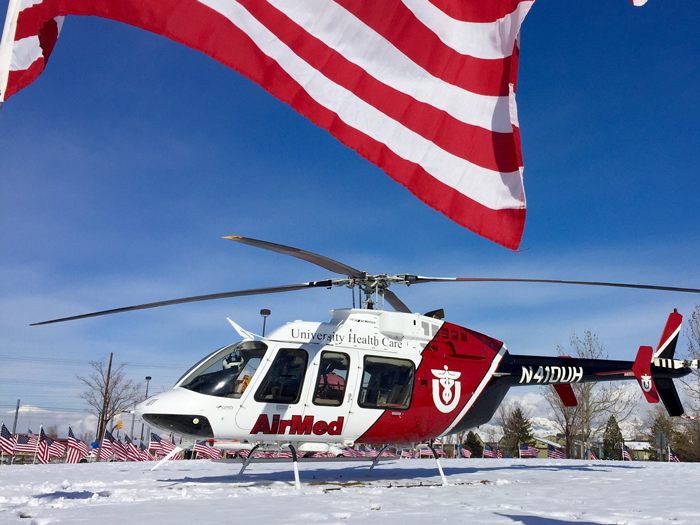 PAC International has been awarded a contract from the University of Utah’s AirMed program to provide an EMS interior for their Bell model 407GX. This contract will include the installation of a custom LifePort / PAC medical interior, exterior paint, communication upgrades, autopilot, air conditioning and bleed air heat. This project will be completed with equipment and support from a variety of vendors to include Lifeport, Air Comm, Genesys, Paravion, Technisonic, Honeywell, Garmin, Dart, AAI and ASU. PAC International, a Metro Aviation company, has a world-wide reputation for providing a wide range of innovative, customer-focused, high quality helicopter completion and customizing services on Bell, Airbus, Agusta, Sikorsky and MD Helicopters. They have established a reputation for providing state-of-the-art services in helicopter painting, custom interior fabrication and avionics installations, and PAC has a long history of providing customized medical interiors to meet its customers’ mission-specific profiles. AirMed was established in 1978, as the eighth air medical transport program in the nation. They transport trauma, burns, medical, pediatric, neonate, high-risk OB, and cardiac assist device patients 24 hours a day with six helicopters and two airplanes placed throughout northern Utah and Wyoming.